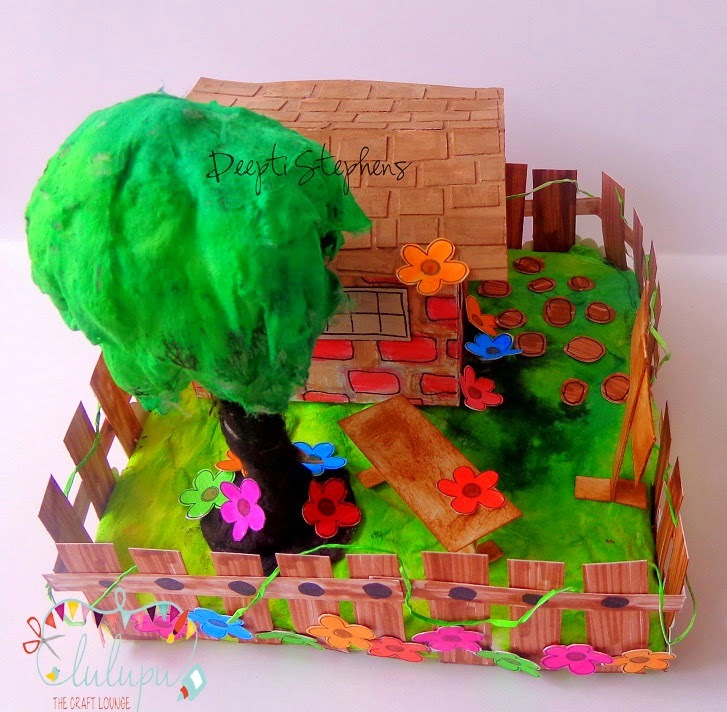 Lulupu - The Craft Lounge: Home Sweet Home.. a 3D project..
Hello friends! 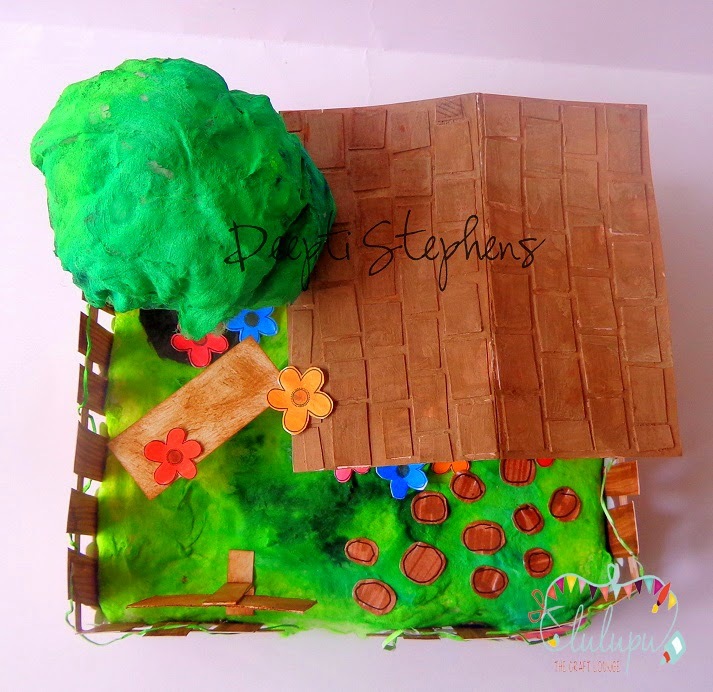 This is Deepti here with a 3D project today hosted by Shilpa. I'm a CAS lover and I usually make and share cards but this time I've tried something new and different. This is my first perfect 3D project ever and I love how it turned out..Yay! Before getting into the details kindly read and follow the General and Challenge guide lines carefully to get your entry qualified..
Ok come! I'll show you around! This is the back side view of my house..
Everything was hand drawn and hand cut.. 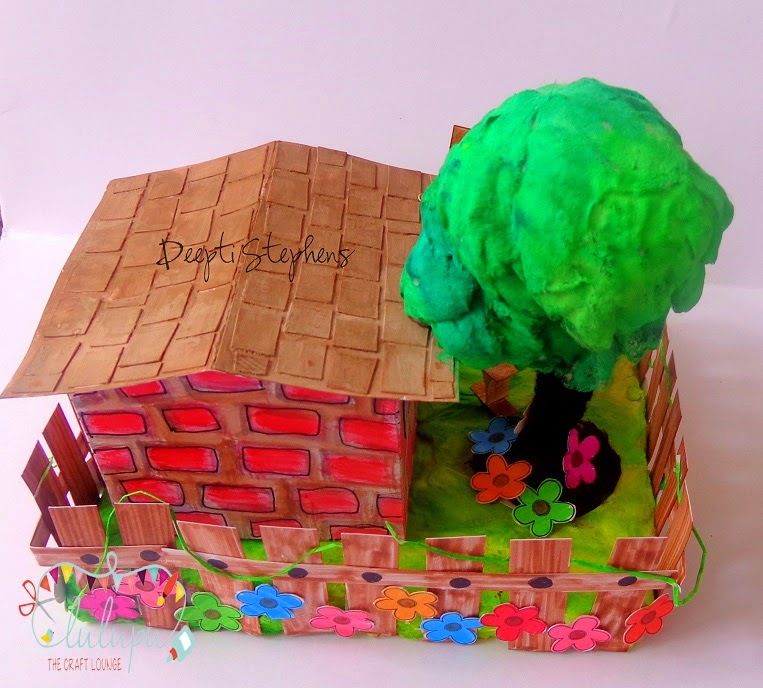 The tree and the landscape was done using 'cotton'.. Colored them with water colors.. Those tiny flowers were stamped and colored using markers..
Super cute and adorable. Always amazed by the way you utilise your supplies. 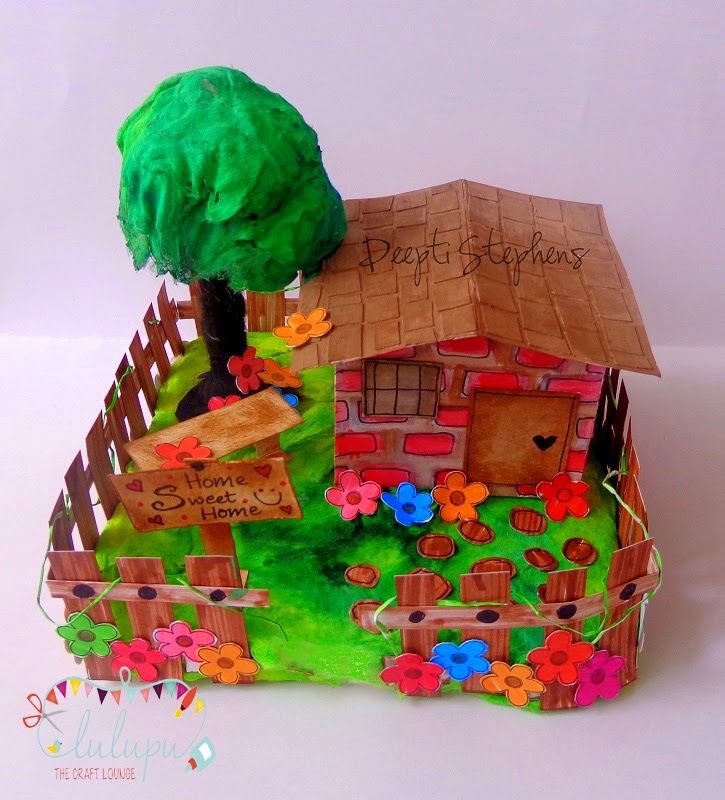 Ohh wow, what a lovely house, Deepti! !